Thursday is Digital Delight Day here at Chocolate Crafts and Bears, Oh My! It is a pleasure to work with Wendy's Digital Images. They are fun to color and a joy to create with. 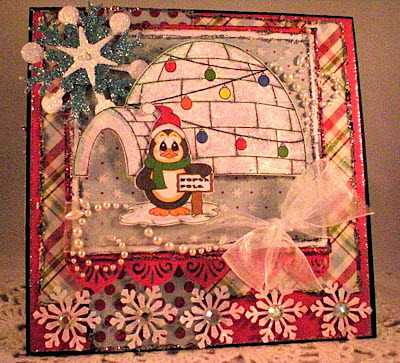 This image is called Pickles the Penguin and you can get this image here. This is the inside of my card. 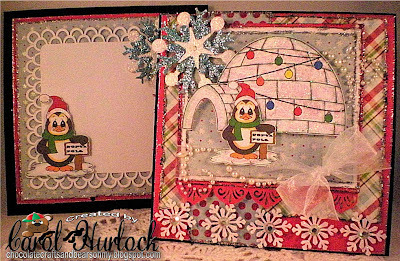 I repeated the images again and applied lots of silver glitter on the distressed edges. The Double Loop Punch Around the Page Punch by Martha Stewart for this. 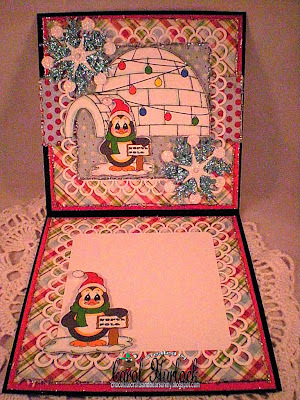 Here is the card with the envelope that I created to match. 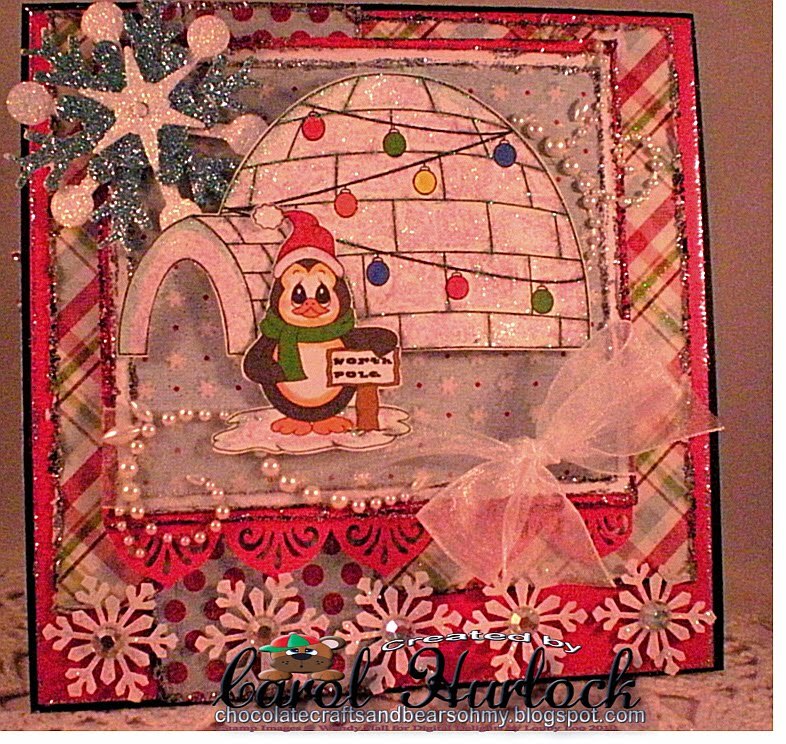 I love the colors in this card as it glistens with an icy blue feel perfect of the North Pole! 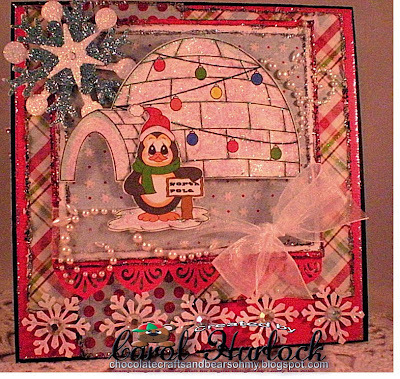 this is another great design carol. Oh my word Carol! This is absolutely stunning! You are so creative and everything you do is so beautiful! 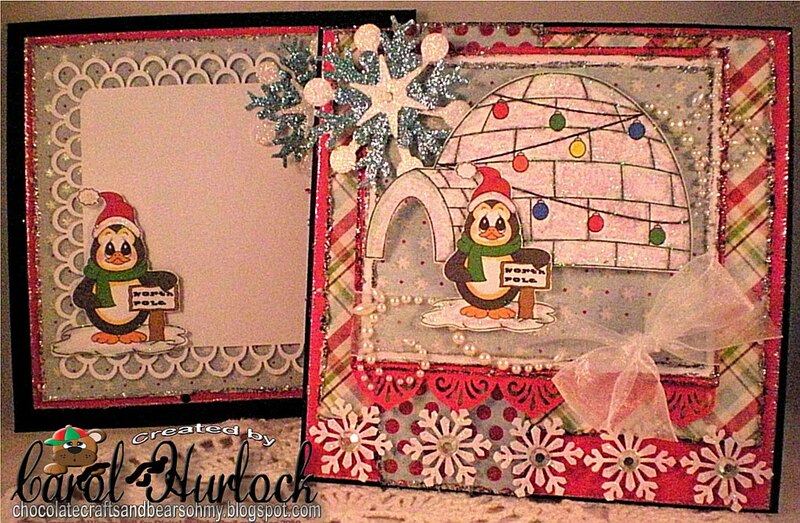 You just keep cranking out the yummy cards! The embellishments you use are the perfect touch. This is gorgeous. Holy penguin paper!!! I ADORE THIS Carol!! WOW!! I love the penguin and you've managed to make him even sweeter with this creation hun!! STUNNING! Great detail and dimension! Thanks for playing in the early bird challenge with Some Odd Girl!